Not be able to port this wonderful MOD is one of my big frustrations. The base mesh was created to a very skinny/tight arms body and I couldn't port it properly to UNP. 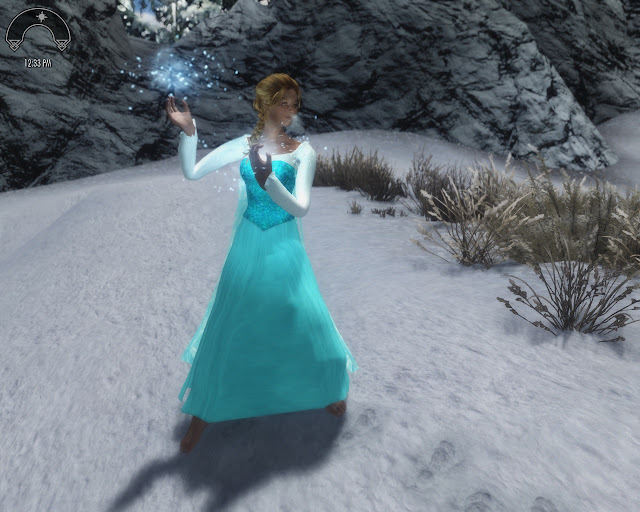 - Port from the great Frozen Elsa Dress from ElAlquimista, on the Oblivion Nexus, who kindly allowed me to port this to Skyrim. Thanks, I know most of JackGa's work, but wasn't aware of this one.